Lovingly crafted and restored by owners Olivia and Ralph Lockey, Northside Farm remains a must-consider destination for couples looking for a rural retreat that is resplendent with charm and character. 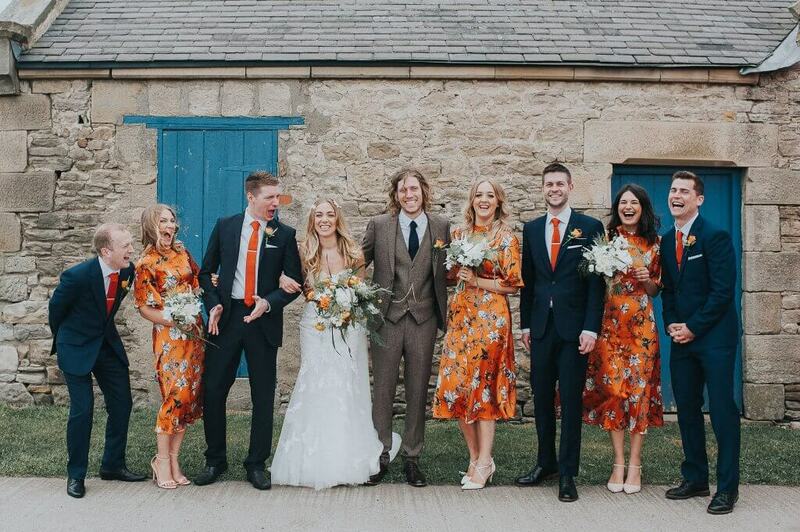 It’s no surprise then that Northside Farm was recognised in LUXlife Magazine’s 2019 Best of the Wedding Industry programme as the ‘Most Outstanding Countryside Wedding & Events Venue’ in Northumberland. Following that success, we endeavoured to find out more about the farm and its unique offerings. 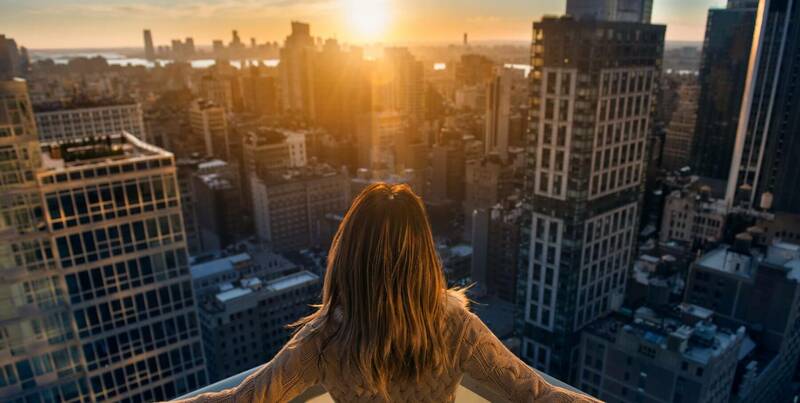 The wedding industry has flourished over the last decade on the back of a renewed interest in customisation, as couples embraces their individuality to create deeply personal events. Gone are the cookie cutter weddings of the past, defined by traditionalism, and draped in white lace. As a result, bespoke weddings have become the new must-have, fuelled by easy access to inspiration- most notably through social media. However, where some opt for opulence, others prefer more down-toearth settings, choosing more conventional inspirations over the avant-garde. Nothing says traditional in the UK like a rustic wedding, delighting in open countryside, and homely trimmings. They are, in almost every respect, more welcoming affairs – an event that truly celebrates the union of two families. Northside Farm, nestled as it is deep in Northumberland’s pristine Englishcountryside, seems to fit the bill from the outset, blending luxury elements with the traditional seemingly flawlessly and effortlessly. But, perfection does not come easily and it’s clear that Northside Farm’s success has been the result of years of hard work by Olivia and Ralph, who have clearly poured love and attention into every nook and cranny. Perhaps most evident about Northside Farm is its commitment to authenticity, retaining many of the farm’s original features in the hopes of recapturing much of its rustic charm. Today, Northside Farm has settled into its own brand of luxury, becoming a destination venue of choice for couples around the country. 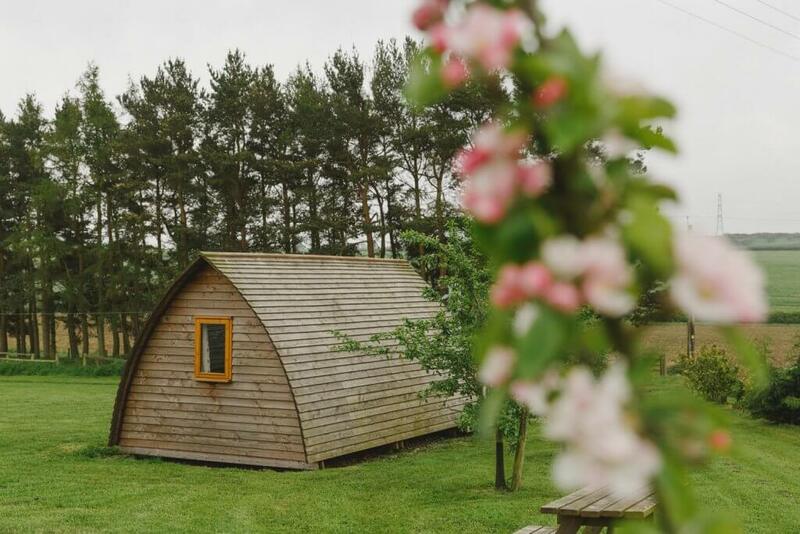 Couples that book Northside Farm as a venue will have exclusive use of the property and its ten charming glamping pods for up to three nights. their wedding pictures incorporating a beautiful Northumbrian sunset, or a star-filled night sky? However, the real key to Northside Farm’s success lies firmly in their belief that weddings should be tailored to the couple at the centre of it. Believing that every couple should have their wedding day the way they want it, the Lockey family operate a ‘no restrictions’ formula, meaning the bride and groom can plan the wedding of their dreams: from planning lavish garden games, arriving by tractor, weekend BBQs, to fireworks in the evening to really end the celebrations with a bang. This extends to the menu, which features regionally-sourced produce and caters to all dietary requirements. Every couple has a dedicated wedding coordinator that will be with them from the first enquiry to the day they leave as a married couple. Northside is defined, more than anything, by this ‘cando’ attitude. It defines every facet of their process and is clear to see in the final result. love by the owners Olivia and Ralph to create an experience unlike any other for a wedding that is everything you could wish for. As for the venue itself, couples are sure to find plenty to fall in love with. 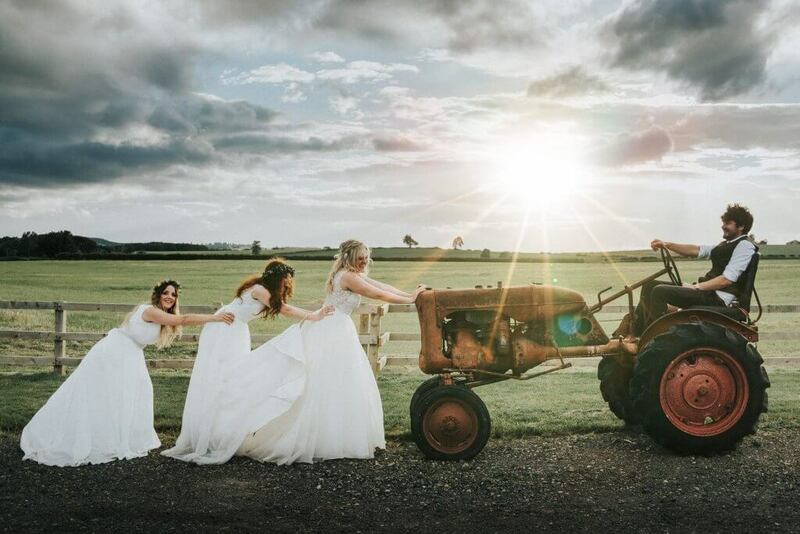 Perfect in all weathers – whether in the height of summer, or the depths of winter- Northside Farm is licensed for all civil ceremonies, both inside the barn and out on the property’s impressive 75 acres of land. With its quirky bar area, floor-to-ceiling glass façade, flagstone floor and classic exposed beams, the barn is a delightful treasure, both traditional and idiosyncratic. For those wanting to cosy up after the evening’s festivities, or simply toast a few marshmallows, the barn’s fire pits offer the pitch-perfect finale, capping the day with a touch of magic. suitably romantic mood lighting, creating a cosy haven for the happy couple. Yet, Northside Farm is continuously seeking to improve on its already plentiful offerings. This spring, they are adding a stunning converted circular gin gang as another dedicated ceremony room, in keeping with the pastoral style of the venue. Moreover, it is also launching four whimsical ‘tiny cottages’ which will sleep two, complete with their own private outdoor seating area and fire pit by the paddocks within the confines of the existing glamping site.